This is a HUGE breakthrough in gut health! In fact it’s far more than that. Let me explain. For 30 years, we have been told to take our probiotics. The message is that yoghurt, kefir, and a “good quality’ probiotic will maintain the gut flora and protect us from the ravages of ingested agricultural chemicals and antibiotics. In this article, I’m going to reveal exactly why taking a probiotic is not only ineffective long term, but why after a relatively brief honeymoon period, they can even be counter-productive. I’ll also show you what I propose instead. A healthy human gut should be populated by 20 to 30 THOUSAND different species of bacteria. 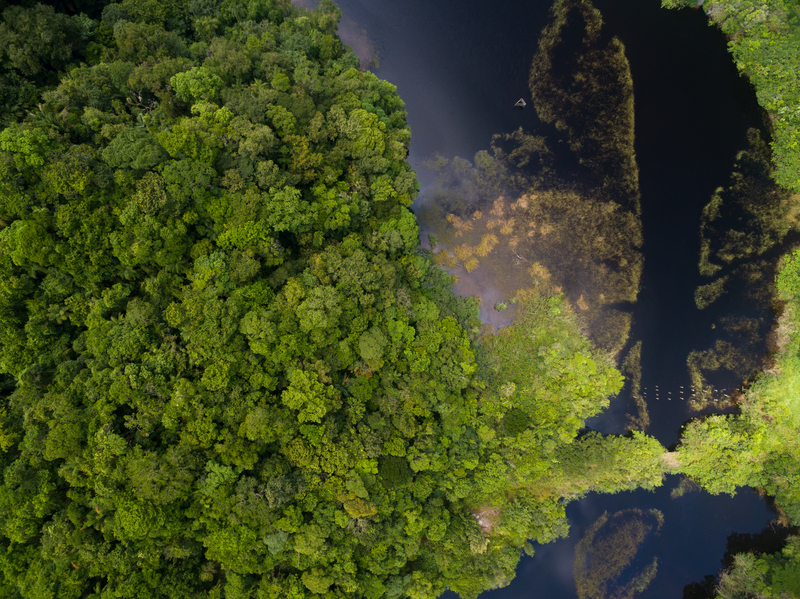 This biodiversity is equivalent to that of a virgin rain forest. It is immense, and for a very good reason. The diversity of our gut flora dictates the diversity of our diet and visa versa. A varied diet feeds a diverse range of gut bacteria, and that in turn enables us to thrive on an enormous variety of foods. Today though, there’s a problem. In a recent study samples from 40 individuals only gathered a total of 10,000 species. Our biodiversity is dropping like a stone! Most of us are existing on one third of the bacterial species we need for proper health! The ramifications of this are HUGE and not restricted to the gut. With this understanding it becomes clear why our faith in probiotics is misplaced. If a quality probiotic offers 10 or 20 bacterial strains, how on EARTH is it going to make up for the 20,000 species that we are missing? But it gets worse. 99% of bacterial strains offered in probiotics are NOT human to start with. And THEN we are encouraged to take BILLIONS of copies of this narrow spectrum day after day, forcing our delicate ecosystem way off balance! We are forcing vast amounts of a few monocultures into an ecosystem that requires extraordinary biodiversity. This is like stripping that equatorial rainforest of two thirds of its native species and then attempting to plant scots pines, oak trees and silver birch over and over again, expecting them to take root and restore the forests original diversity. It’s absurd! Today we are exposed to an extraordinary array of heavy metals, pesticides, herbicides and antibiotics through farming practices alone. In the US, over 300 grams of antibiotics are now used to produce every 1,000 grams of meat! And Europe is catching up faster than you’d like to think. Our ‘microbiome’, the very foundation of our health, is under attack in ways that we can’t even imagine. And the result? Gluten and dairy intolerance, food and chemical sensitivities of all sorts, hay fever and pollen reactions. But also MANY other diseases and health conditions that one would not automatically associate with the gut. Here’s the breakthrough that explains why reduced gut flora diversity causes so much havoc. 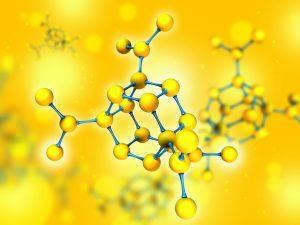 It turns out that the gut bacteria literally manufacture complex carbon molecules that form a liquid communication system required by every cell in the body. And without this communication, we rapidly run into systemic inflammation, cell damage and ageing and our health rapidly declines. So the gut bacteria themselves are only half the story. The other half is what they produce. One of the primary jobs of a diverse gut flora is to maintain the body’s ‘tight junctions’. The gut lining is supposed to be permeable. But ONLY to those nutrients it WANTS to let through. 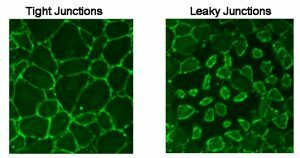 Many micro-nutrients pass right through the cells, But some nutrients are too large, so instead, they pass BETWEEN the cells, through what are called ‘Tight Junctions’. These tight junctions are like intelligent velcro, between the cells. When working well, they provide an impenetrable barrier to all things that are NOT invited to pass. The tight junctions are the ‘doormen’, not just of the gut wall, but of every membrane in the body. For these ‘doormen’ to know what to let through and what to keep out, they need a communication system similar to a phone network. And THAT is what diverse gut bacteria produce. Each microbe has a very narrow bandwidth, but together they manufacture a snowstorm of carbon ‘signalling molecules’ that provide this communication system for the entire body. If the communication system fails because of too few carbon molecules from too few bacteria, the tight junctions fail. And if they do, you have a ‘leaky gut’, leaky cardiovascular system and leaky brain. This is a very important discovery. Leaks in the membranes allow foreign proteins to cross the the gut barrier into the blood stream and to cross the blood brain barrier into the brain, promoting fatigue, brain fog and potentially devastating inflammation. This cascade of loss of communication, leaking tight junctions and systemic inflammation is NOT something a probiotic can fix! A probiotic simply introduces billions of copies of a narrow spectrum of foreign bacterial strains into a balanced, living ecosystem. It does nothing to restore that ecosystem’s intelligence or to recover cellular communication. In 2012, Dr Zach Bush pieced it all together. A chance observation that molecules in the soil looked a lot like molecules he had been working on in his chemotherapy research, sparked an idea. If our gut bacteria are insufficient to produce the communication network our bodies need, could we instead ‘import’ the communicating molecules from the soil? He was NOT looking at ‘soil based organisms’ or pre-biotics. Instead, what Dr Bush was looking at was the massively diverse array of carbon based ‘redox signalling molecules’ made by the bacteria in the soil. These exactly matched those that our struggling gut bacteria were failing to make. He saw immediately that they could reboot a person’s communication network. This discovery led to the development of Restore, a brilliant, biologically balanced extract from lignite, which contains a vast array of complex, liquid, carbon, signalling molecules. When introduced to the body, it literally replenishes the reserves of cell to cell communication molecules. Under the microscope, it has not only been found to be non-toxic, but is unique in its ability to enable renal tubule cells to flourish – even at 100% concentration. This is unheard of in toxicity studies. The real magic though, can be seen at the ‘tight junctions’ where under duress, cells tend to lose connection with one another, allowing leaky guts, brains and cardiovascular systems. 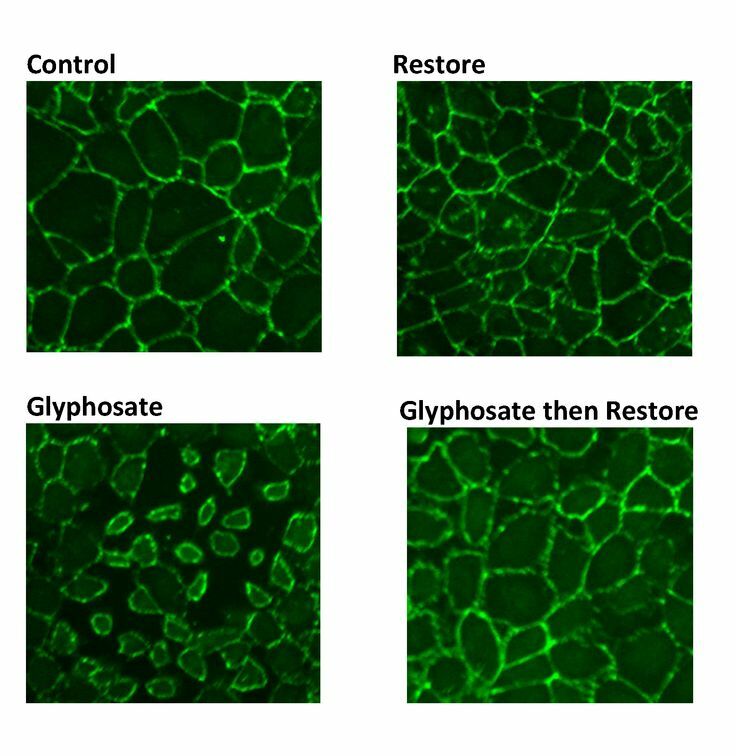 Here the Restore can be seen to allow those cells to hold fast, even in the face of gluten and the pesticide ingredient glyphosate, which generally blows them apart. 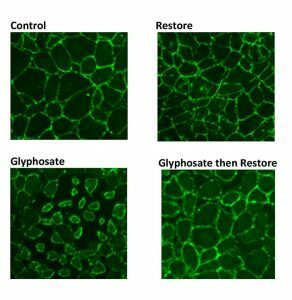 This discovery alone is worth its weight in gold, since glyphosate has become the most ubiquitous toxin around the world and is now being linked by researchers to everything from obesity to neurological and autoimmune disease. Triple board certified Dr Bush has come to the conclusion that “inflammation equals lack of communication”. And this appears to be born out by what we see in practice. 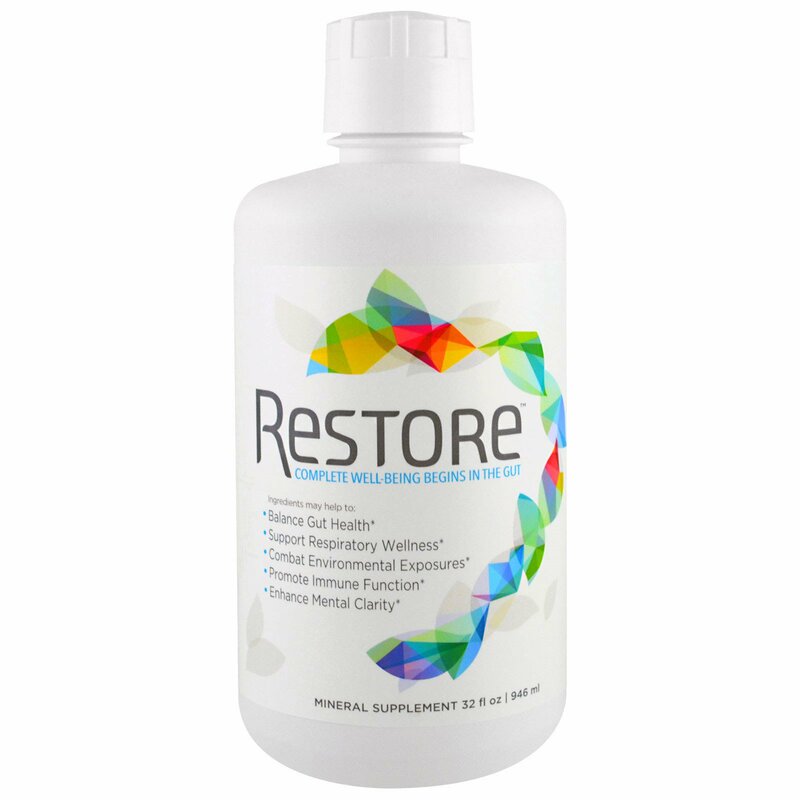 Not only do we witness inflammation reducing, but we also see that gluten sensitivity for example, drops away within a few short weeks of introducing Restore. Certainly this is one of the most significant developments for 21st Century health. We are ALL under attack at the microbiome level, and we cannot afford to sit back and do nothing about it. We know we can’t detox our way out of the situation, and throwing a handful of strains of proboitics into the mix isn’t the solution. The answer is to switch cell to cell communication back on. Once the communication system is rebooted, trace amounts of a vast array of bacteria, breathed in and picked up on contact from our environment are able to seed and propagate in appropriate proportions on and in our bodies. This will push the more dominant species like candida back into retreat, and allow those all important tight junctions to function again as intended. A 32oz bottle (approx 1Liter) lasts for 2 months on a full adult dose. There is still much to say on this topic and I shall write further articles on it in the future. My advice though is don’t wait. This is something we would all do well to include in our daily lives. One last note. If you are sensitive or are giving restore to a challenged child, please start with just one drop. The body is a powerful thing once you switch it back on! Please forward this to your friends, so they can click here. & receive my FREE Articles.